Is winter one of your favorite seasons? Create a fine art photography optical illusion to your decor of beautiful winter country landscape. Your very own private fantasy window view. Free shipping. 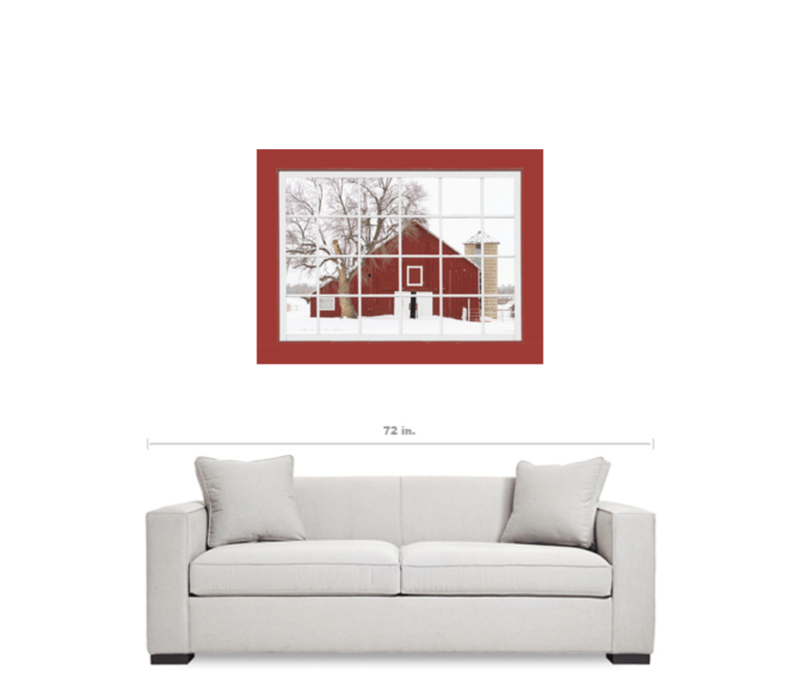 Winter season scenic landscape of fresh fallen snow with a view through a red picture window to a country red barn. Is winter one of your favorite seasons? 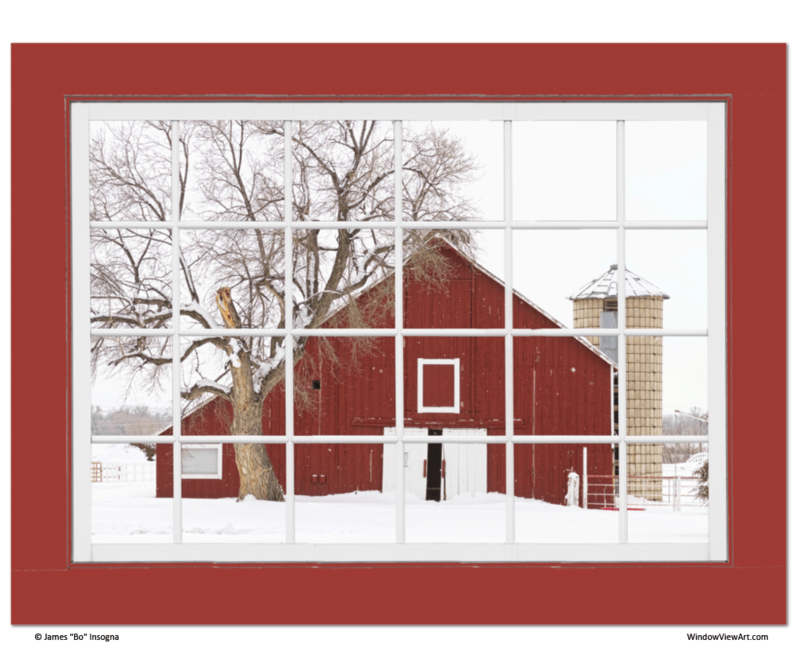 Create a fine art photography optical illusion to your decor of beautiful winter country landscape. Your very own private fantasy window view. Bring nature indoors, now you can add a window with a view to any room in your home or office with our picture window frame fine art striking photography nature landscape art prints. The IMAGE is the FRAME, how cool is that!